Telecom operator Reliance Jio will host ‘India Digital Open Summit 2018’ on 19 January in partnership with the Linux Foundation and supported by Cisco Systems. At this event, Reliance Jio will be working with the Linux Foundation to promote open source networking systems and platforms that will disrupt how enterprise and service providers will deliver services in the future. The summit is a one-day event at the Reliance Corporate Park in Navi Mumbai and will include keynotes from eminent technology and policy leaders, such as Sujit Bakshi,President-Corporate affairs,Tech Mahindra, Brain Bronson, Ceo & President, Radisys Corporation, Pravin Bhagwat,CEO & President, Mojo Networks, Anjali Joshi,VP, Google, Pradeep Kohli, CEO & President, Mavenir Systems, Sunil Goyal, CTO, Paytm, Renuka Bhalerao, Product Management & Strategy, Facebook and many more. The event will also witness the Special Address by Akash Ambani. “These keynote speakers will set the roadmap for defining the future of an open source and open platform for digital India, fostering and supporting continuous innovation, security, and entrepreneurialism enabling the creation of India’s new generation Digital Platforms,” the company said in a statement. “Open source is being embraced by leading organizations globally, not only due to its cost advantage but to leverage the development advantages open source communities offer,” the statement said. The summit will feature discussions on various elements of the open source framework for policy, technology, and security that accelerate the expansion of the Digital India initiative across domains. 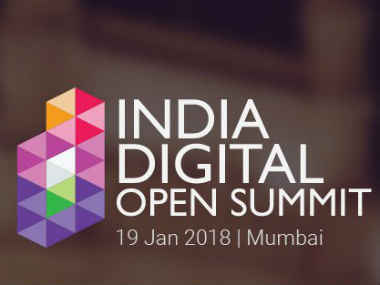 Over 400 attendees are expected at the India Digital Open Summit 2018. Global Industry Leaders Getting Together and Driving Innovation at India Digital Open Summit 2018 0 out of 5 based on 0 ratings. 0 user reviews.